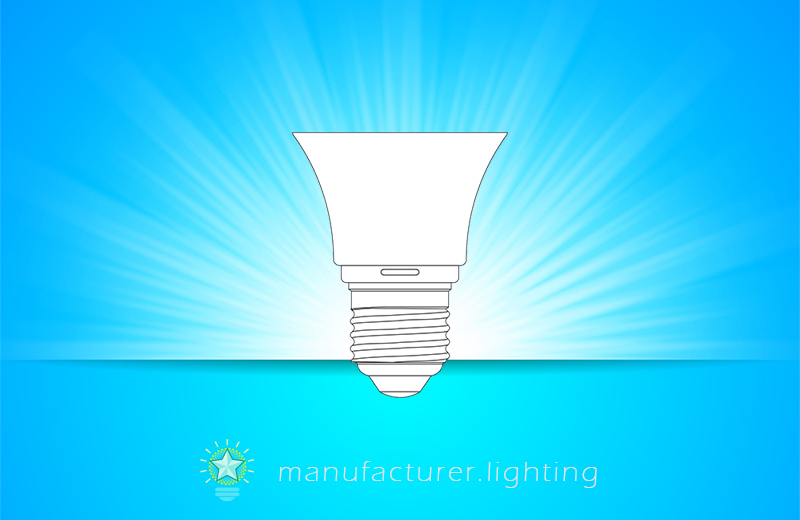 An LED luminaire is a lighting unit to generate, control and distribute light. It is a complete lighting system including one or more lamps and some or all of these components: optical control devices for example a reflector and a lens are employed to shape the radiation pattern, or beam pattern; electrical and electronic components to start, operate, dim or alternatively control and maintain the operation of the lamps or LEDs; cooling devices like for example heat sinks provide a route for conducting the heat produced by the LEDs and for dissipating the heat directly or radiantly to the surrounding environment; the mechanical components required to hold or attach the luminaire, and mounts to fix and protect the lamps and to connect the lamps to a source of electric power. LEDs are directional light sources, which gives the lamp or luminaire designer new challenges as opposed to existing lamp technology. The employment of reflectors, lenses and diffusers allows a designer to direct light in a range of approaches. Shades, baffles, and louvers are opaque or translucent materials shaped or configured to reduce or remove the direct view of the lamp from outside the luminaire. The mechanical components of a luminaire include a housing or general structure to support other components of the luminaire along with a mounting mechanism for the attachment of the luminaire to its support. The electrical components of the luminaire provide for the operation of the lamp. One or more sockets provide mechanical support for the lamp and offer necessary electrical connections. Lighting controls are a vital part of any lighting system, serve multiple purposes, and vary from simple user-activated switches to advanced scene controllers, automatic sensor controlled systems, and networked digital control systems. The luminaire also includes wiring and connectors for connecting lamp socket to the external wiring that delivers electrical power to the luminaire.